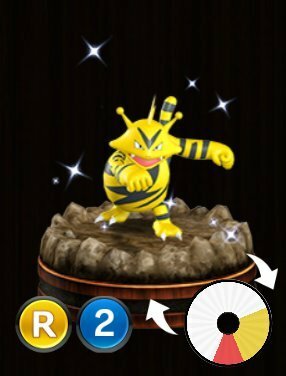 Pokemon Duel Electabuzz Stats, Best Moves To Level Up and the Base Wheel Sizes. Thunder Punch – If this Pokémon is knocked out when it uses this attack, the battle opponent becomes paralyzed. Quick Attack – A useful gold attack that can also get a damage increase of +10 by Electabuzz’s special ability Connection. Thunder Punch is also a good option if you are running a paralysis deck relying on paralyzing enemy pokemon figures. Connection – This Pokémon’s damage is increased by +10 for every Electric-type Pokémon it is connected to.